The air is warmer, the flowers are blossoming and my car is covered in pollen, so spring is here! 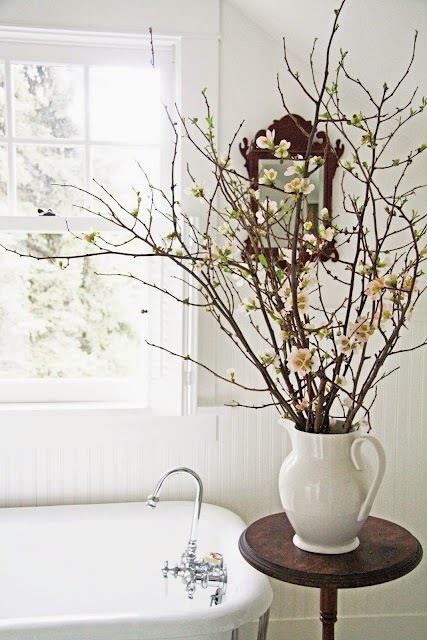 Do you spruce up your home for spring? If so, I have called on someone who I think is an expert in design to give you five easy ways to help you spruce up your home for spring! Marianne of Style For Living is one of the most genuine and talented people I know (you can see her portfolio here) and I look forward to meeting her at BlogFest!! I am so happy to be here on Tiffany's gorgeous blog today. She happens to be one of my favorite bloggers and I'm always drooling over the delicious recipes and pretty images she features. Plus, I'm so excited to finally meet her in person in a few months! Lucky, lucky me. I was thrilled when she asked me to write a post on 5 ways to add spring to your home. So, without further ado, here are 5 of my favorites. Bring the outside in. I love having blooming branches in my house. They add such a nice earthy element to the home. I have actually been taking branches off my cherry blossom trees. I have five in my backyard that are always so gorgeous this time of year. The best part... it's free! One word... wallpaper! 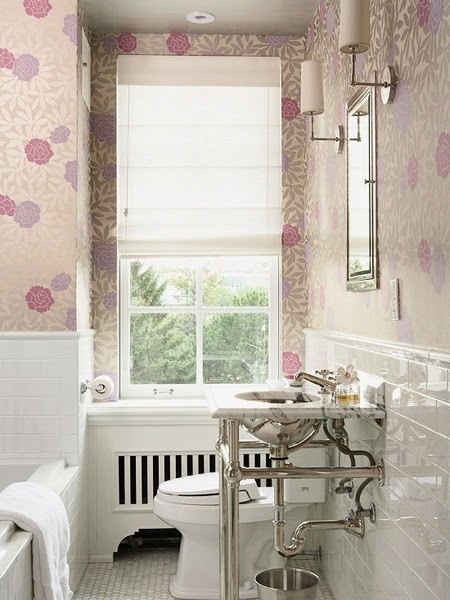 Always a fan of adding some color and depth to a room with a gorgeous wallpaper. This one by Asuka by Osborne & Little happens to be a favorite of mine. White does wonders! I only use white towels and sheets in my home. They always look crisp and clean and a little bit of bleach does wonders. Bring on the white! Don't forget your desk. 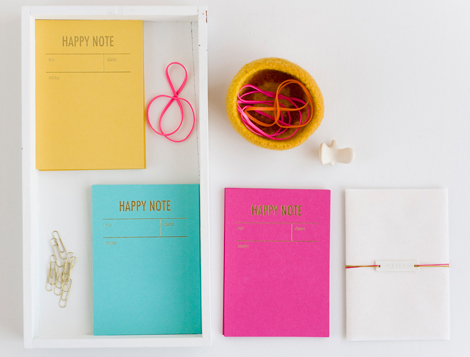 How fun are these notes in bright spring colors! I don't know anyone who wouldn't want to receive a note written on pretty paper. 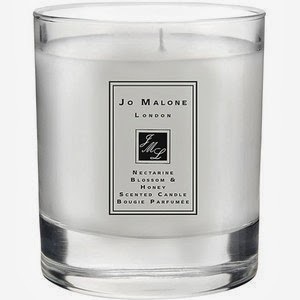 Jo Malone candles. Yes, they can be pricey, but you do get what you pay for. These candles smell amazing, even after you blow out the flame. I recently purchased one in Nectarine Blossom & Honey and the smell is intoxicating! Fabulous tips Marianne! Nothing like fresh white towels and a fresh-smelling house! What are you doing to bring spring into your home? Marianne and I would love to hear! Great tips! I love bringing in some forsythia branches this time of year. The yellow just makes me smile. And, can't agree more...white is definitely the way to go with sheets and towels. I need to look for those candles as well. Wonderful, but no surprise given Mariannes beautiful effortless and elegant style.Loving the bring the outdoors in and yes to anything Jo Malone! Thanks girls! Wonderful post, got to make sure to check out her blog! White towels, Jo Malone (such an luxe indulgence) and a pretty desk....all great! beautiful. We truely have the feeling of spring after this wonderful post. Yes, bring on the white!! I am LOVING that wallpaper too!! Yes, she is one terrific and talented gal that Marianne. And you two are going to have a blast at the blogfest! Can't wait to see the pictures! SOOOO ready for real Spring. Great images, as always Ms. Marianne. You have a stunning blog Tiffany and I'm thrilled Marianne sent me over! She has great ideas and I need those branches! I'm looking forward to seeing more of your blog! Marianne, I am with you on all white linens, and the J. Malone candles are fabulous. fresh, pure, white towels. y.e.s.! have a blast, you lovely bloggers! Those blossoming branches are gorgeous! And I love anything and everything Jo Malone! Your posts make me happy!!!! Love it all.